The last month has been quite a wild ride since leaving my previous job of 10 years, which had nothing to do with food, and taking a leap of faith to focus on Sweet Like Candi full time. I am so grateful for the people who have come into my life and have provided encouragement, support, helpful tips, advice and knowledge. Such people that spring to mind are Morne, Thelo and particularly Heinrich from Cocoafair. This Chocolate Factory is more like a family than a business – and I truly feel like I am one of the family. Going above and beyond comes naturally to them, and being the first 100% organic bean to bar chocolate factory in Africa, based on social entrepreneurship, cements all the right ingredients in place. They see chocolate making as both an art-form and a mechanism for positive social change. Not only is their message and belief system a powerful one – their chocolate is the best I’ve tasted. You can tell that it is made with love, pride, passion and care and that they are as enthusiastic about chocolate as the most stringent chocolate lover! Because they have such a strong belief in organic produce, I knew that this chocolate and their cocoa would be perfect for my baking – I pride myself on using only the best; our bodies are our temples, and eating sweet treats should not deviate from this principle. My very first fair EVER was the Constantia Waldorf School Fair of The Heart, which seemed quite fitting as I am all about heart. The emphasis was on the environment and the community and they were expecting 6000 people to attend the event. WHAT?! How much do I need to bake for 6000 people?? There was a lot of baking involved – 20 batches of truffle squares, 7 cakes and over 200 cupcakes. A lot of sweat and tears, (although none in the baked goods :p) not much sleep, a sense of humour failure and much behind the scenes preparation. Thank goodness for my wonderful boyfriend who kept me sane and helped me wherever he could. Yes! The day was a success, everyone loved my Banting goodies and I knew that I was on the right track. I learned a lot from the day and learning is invaluable. I took what I had learnt onto the next one. The Women’s Lifestyle Expo – a 3 day event and the ultimate showcase for the latest products and services for women and families. 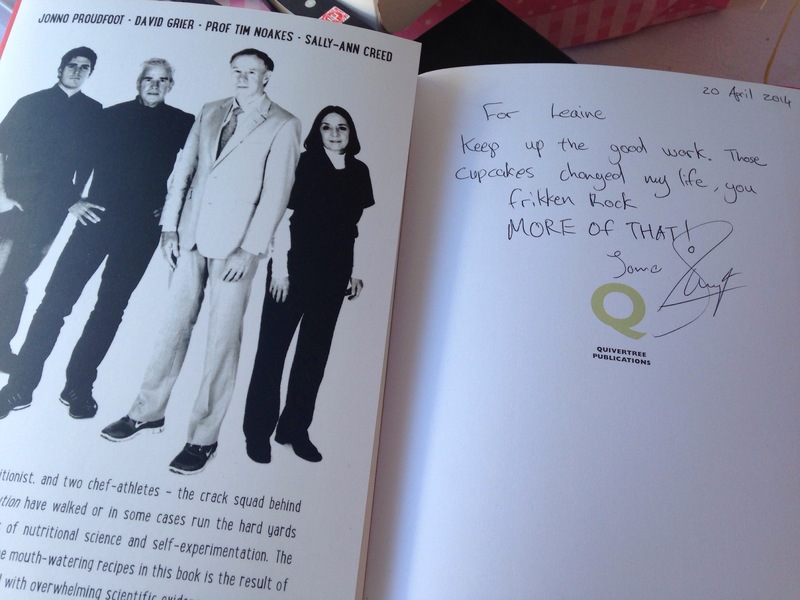 Cocoafair was going to be there and so was The Real Meal Revolution team with talks given by Sally-Ann Creed and Professor Tim Noakes – I simply had to be there! WHAT?! Little old me with not much experience and a company less than a month old – yes, yes – let’s do this! I phoned up Heinrich from Cocoafair, and asked him if I could share his space. He said he didn’t think it was possible because of the rules, but because he believed in me and my products, he talked them into giving me my own space. Life is amazing! So there I was with my space and my table and a feeling of determination in every fiber of my being! 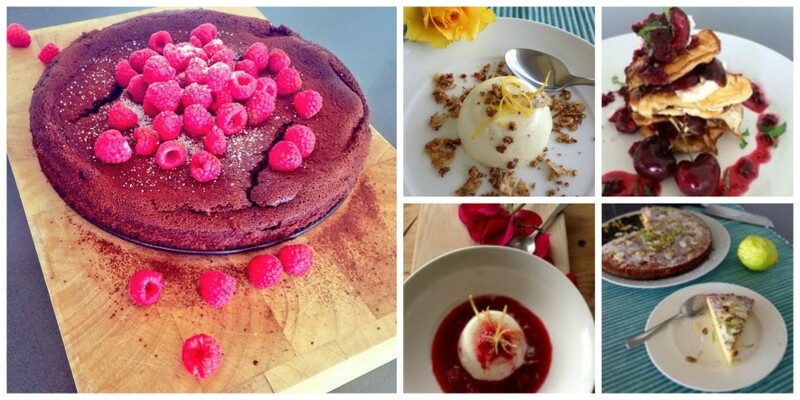 Because I am baking Banting – I wanted to be 100% sure of all the products I was using, so I tweeted Sally-Ann Creed, the generous and lovely nutritionist who co-wrote the Real Meal Revolution. She has been amazing with her advice. I asked her if I could start using her Xylitol in my baking because I could trust that it would be the best with no funny additives in it and she happily said yes and accommodated me at extremely short notice – once again, here is an example of a lady willing to go above and beyond. Her encouragement, support and high praise of my venture has meant the world to me. My first night at the City Bowl Market was awesome. 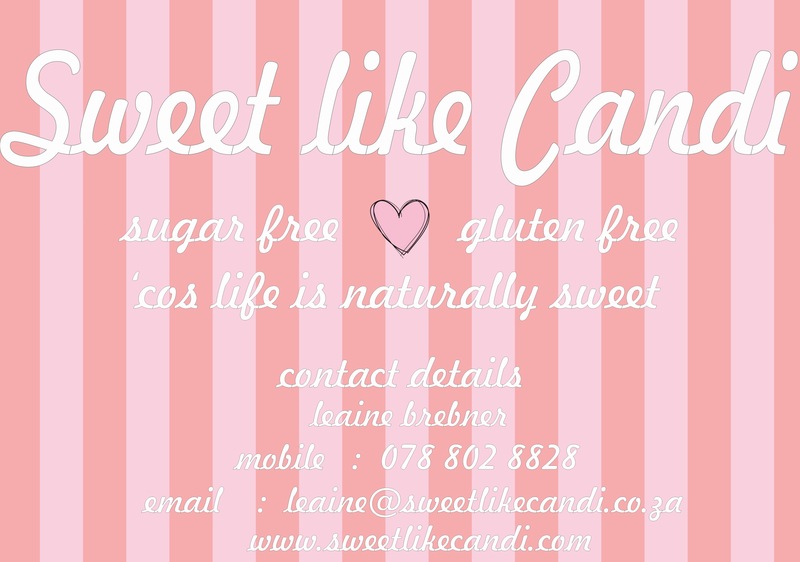 People were truly excited to find out that all of my baked treats were gluten free, sugar free and Banting approved. One comment that sticks in my mind is “Birch bark Xylitol AND almond flour? How are you making any money?” 😉 I love it when people just get it. I fills me up with a sense of purpose and achievement. I want to help people by providing them with something that not many people offer. I’m excited to build my reputation and meet new folks as I continue to have a stall at the market. On the final day of the Women’s Lifestyle Expo, I was on such a high. I had made so many fantastic contacts, met such enthusiastic individuals who were all in love with my products and were amazed that they tasted so good.